As self-confessed ocean lovers we were beyond excited when we heard the news that Google Street View was heading into the aquatic wonderland that is the Great Barrier Reef. Since launching in 2007 the panoramic technology has captured countless ‘street’ views from around the world. Now, the tech giant has taken things one step further and submerged its cameras into the colourful waters of Australia’s Great Barrier Reef! The project was part of the company’s efforts to celebrate World Oceans Day (June 8) and help raise awareness for conserving what’s considered one of the world’s most treasured natural World Heritage Sites. Using next generation underwater filming equipment Google gives every day internet users the chance to explore the Great Barrier Reef from a 360 degree angle. The project saw cameras capture footage at 20 different locations across what’s celebrated as the world’s largest coral reef system. The results were incredible! Google users can now explore a magical underwater world of kaleidoscopic coral, cruising turtles, coasting sharks, tropical fish, playful dolphins and more! As well as the Great Barrier Reef the project also delved into the depths of other ocean environments across the globe, including the Galapagos Islands and the Maldives. Check them out here! The project was completed in conjunction with XL Catlin Seaview Survey, the National Oceanic and Atmospheric Administration’s Office of National Marine Sanctuaries and the Chagos Conservation Trust. In the future Google plans to continue its underwater work and persist in its goal of inspiring people to preserve and protect the planet’s marine ecosystems. 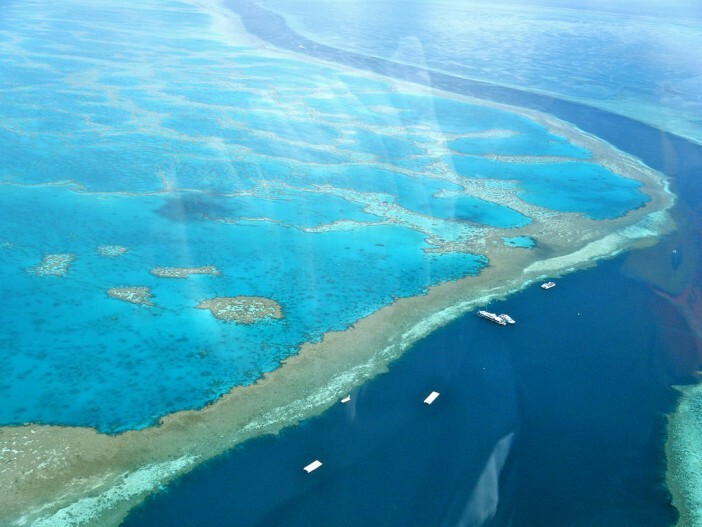 We absolutely adore the Great Barrier Reef and are committed to helping people experience the beauty of the ‘largest living organism on Earth’ for themselves. Cruises are the perfect way to get up close and personal with Queensland’s stunning coastline and the aquatic life that thrives beneath its crystal clear waters. Cruise 1st is currently offering some fantastic Great Barrier Reef voyages that give passengers a chance to submerge themselves in the incredible natural wonder. Head out on P&O’s Pacific Jewel for a seven night Barrier Reef Discovery trip, experience the luxury of the Carnival Legend on a 10 night Great Barrier Reef from Sydney voyage and indulge on-board the Azamara Quest for a 10 night fly/cruise adventure. Image sourced via Flickr Creative Commons,Human and Natural and Image Stack. Credit: Sarah Ackerman, Human and Natural, Hotel Club.